Sharp three-year-old Arrum Boy is set to make his autumn return to racing over 1100 metres at Ascot this Saturday. 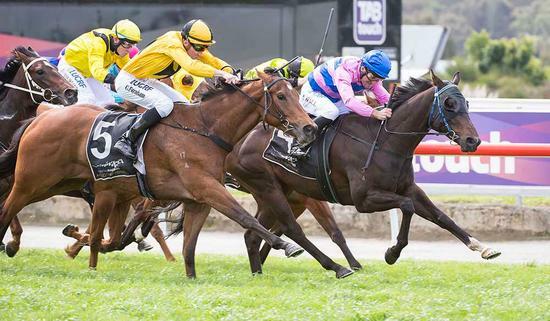 The multiple city-winning son of Demerit ended a 10-start spring/summer campaign with a strong victory at Ascot on December 9 and looked in good order when comfortably winning a 1000-metre barrier trial at Albany on April 12. The consistent Arrum Boy, who has recorded nine top-three finishes (and $181,725 in earnings) from only 13 starts, will have his work cut out in what appears to be very hot field with the likes of exciting youngsters Febergino, Amelie Argot, Truly Belong and Stageman all nominated, however, he has plenty of class about him and has performed well at a very high level in the past, including a third placing behind Ocean Jewel and Truly Belong in the listed Placid Ark Stakes at Ascot on November 25. SJ Wolfe Racing's stable rider Shaun McGruddy has been booked to ride.